About meAlice Iorio, M.Ed., is an award-winning educator, consultant, and author. She has more than twenty years of experience in elementary, middle school, and college education. Her passion for teaching children and motivating parents is well known nationwide. Alice has the vision to empower, engage, and involve parents through this book and through the power parenting conferences she continues to organize and promote. She lives in Orlando, Florida, and is an enthusiastic traveler, runner, and active member of the community. When not writing, speaking, or consulting, she can be found cheering for her two favorites teams, the Pittsburgh Steelers and the Florida Gators. 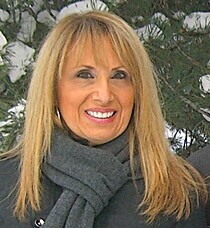 You can visit her Web site at "http://www.championparenting.com">www.championparenting.com.